This summer, I learned about a grant offered through my church that is awarded to members who are working to bring love and care to others. Lynn and I discussed what projects we could create for the fall that could use that grant money. We decided to do a coat drive for a Milwaukee school. This choice was guided by our experiences in public schools in Milwaukee and Joliet. It was not uncommon for either of us to see a student enter our doors in a sweatshirt in the middle of winter, or to have a child called in sick because it was too cold that day and they didn't have sufficient protection from the elements to venture out. We knew that November and December are more typical months for "giving" but we wanted to deliver the coats by the end of October, when it starts to get cold. We reached out to MPS and learned that many schools are actually given lots of coats by organizations such as the Brewers. A little discouraging for our goal, but truly, how great is that? 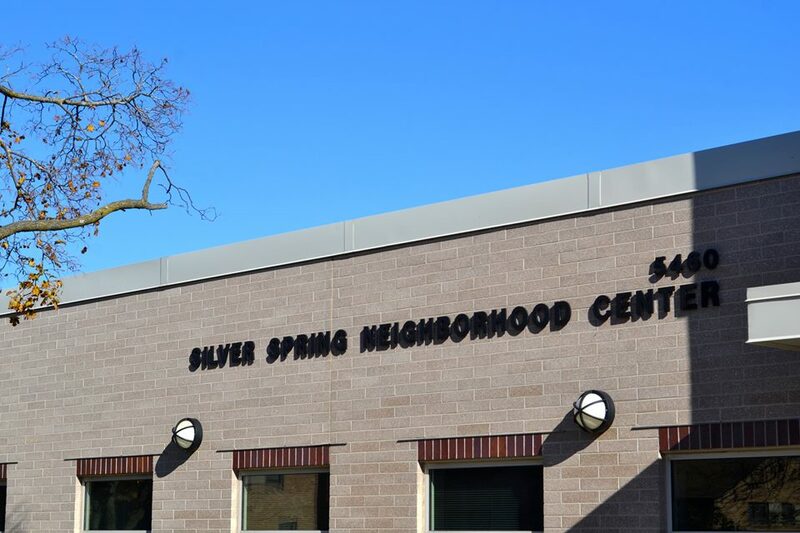 One of our Advisory Board Members, Aimee, suggested we contact the Silver Spring Neighborhood Center. Lynn and I called the SSNC and set up a meeting with a staff member. Devin gave us an overview of the programs offered at SSNC and a tour of the facility. It is truly amazing how many programs they offer there and how well it's all organized. The following day, Devin sent us an email with a list of ages and sizes of the kids who would need coats soon. 102 in total. Then we panicked a little bit because we're still new at this. We set two dates for card-making and asked TOAM families to bring addresses of family and friends who could help us bring in winter gear. We sent out about seventy requests for coats that way. We also reached out through personal conversations with friends, on our TOAM Facebook page, and through an online Facebook group called KidsCycle, created by another Advisory Board Member, Annie. Two weeks into October is when the coats started coming in. Families gave us coats at school, we received shipments of coats and our Secretary, Kathleen, made the rounds to so many houses to pick up coat donations. We held on tight to our grant money, a fantastic monetary donation from a group called North Shore Moms, and several other checks people sent us. 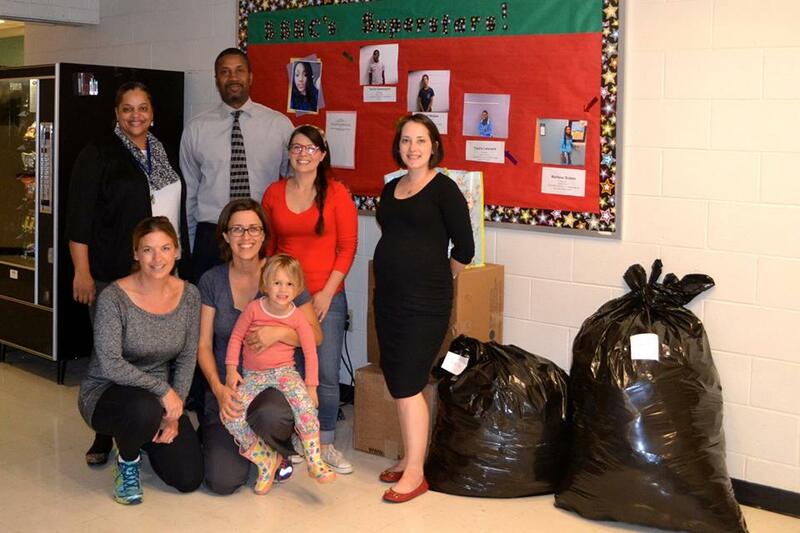 One of the best parts of the coat drive was seeing the thoughtfulness that donors put into their selections. 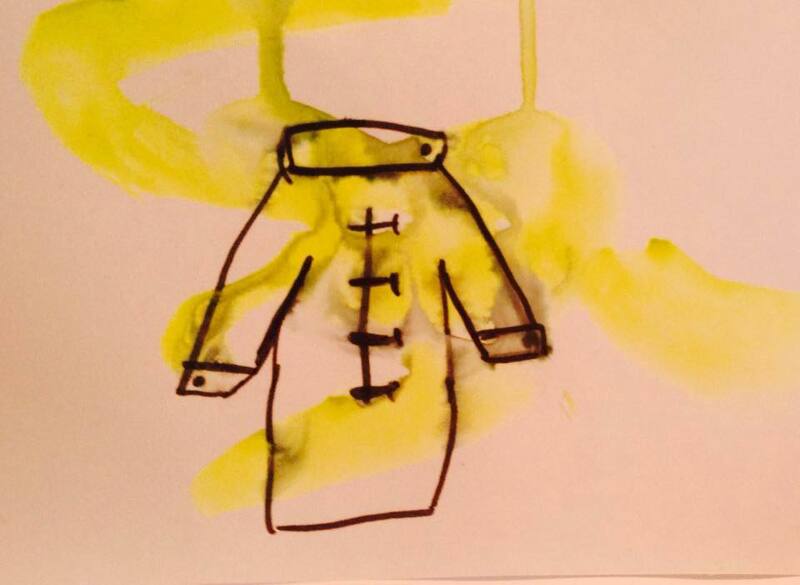 People imagined the child, what they might like in a style of coat, what colors would make it withstand a winter, and if it was warm enough. We set the deadline for coat donations a week before we were to deliver them to SSNC. Once that day arrived, we counted up (for the second time) all that we had and made plans to purchase the remaining coats. We looked at Target, TJ Maxx, Burlington Coat Factory, Old Navy, and Kohls and compared prices and quality on the coats we had left to purchase. This year, where we live, TJ Maxx and Burlington Coat Factory had the best quality coats at the cheapest prices. 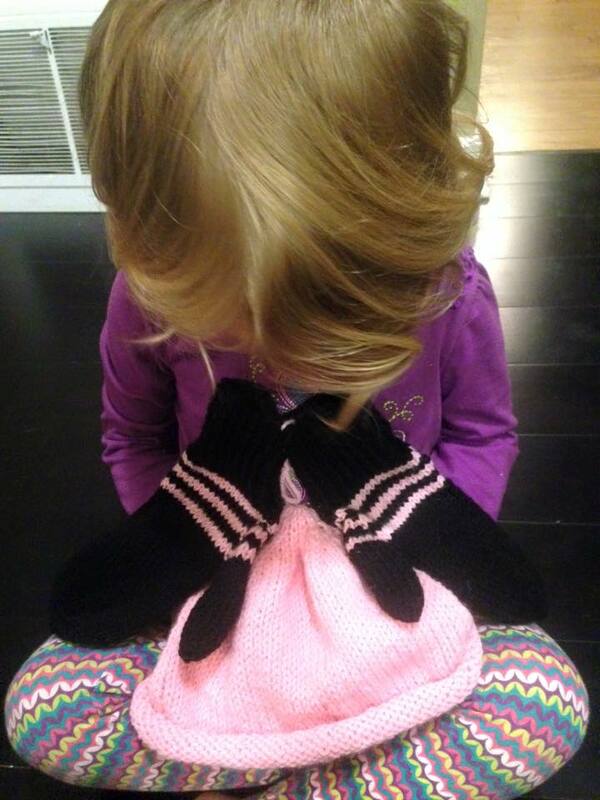 With a well-timed coupon to Old Navy, we grabbed around 80 hats and gloves to finish out the winter gear purchases. In the end, TOAM collected 197 coats, 303 winter accessories, and 7 bags of outerwear and clothing for the center's emergency services department. We were overwhelmed by the outpouring of generosity from our extended TOAM community. At our last board meeting, members sat around the table and stuffed envelopes with thank you cards and tax receipts to those who helped us out with the coat drive. We strive to make our volunteering as hands-on and as face-to-face as possible for our children. 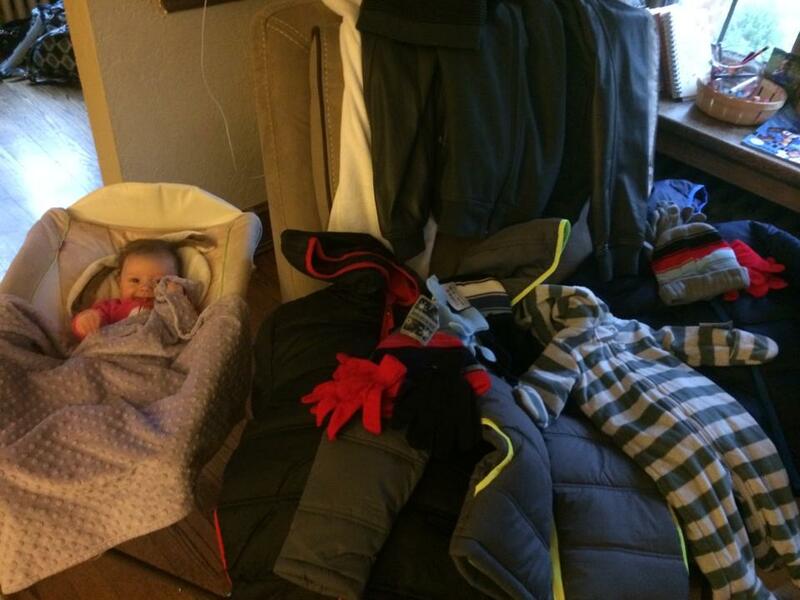 The coat drive offered different lessons for our children. For those of us who discussed the coat drive with our kids, we were having conversations about needs and wants. A great lesson for children. For those of us whose children watched us donate, count up coats, and so on, they were seeing great examples of caring and that's just as important. 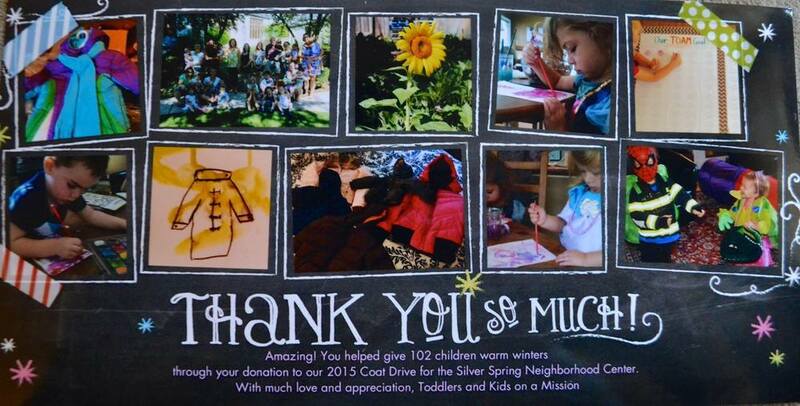 Thank you to everyone who participated in the SSNC coat drive this year. We hope you are inspired by our efforts to do the same in your community. It is hard work but well worth it. We wish all children at SSNC and in Milwaukee a warm and fun winter.